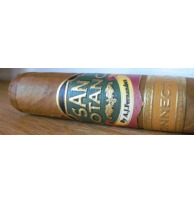 San LotanoThere are 9 products. 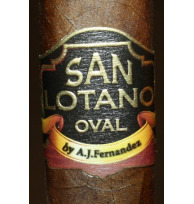 San Lotano Oval comes from AJ's factory in Esteli, Nicaragua. The Oval features a truly unique shape. The best way to describe it would be an oval shaped box-press, if you can imagine that. The unique shape and aged tobaccos truly makes this blend an anomaly in the industry and one of the finest cigars to come out this year. Oval features a Habano 2000 wrapper that is aged over four years. The extra aging gives the blend a refined quality and a medium-bodied flavor. 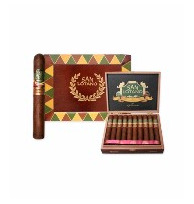 The Habano 2000 wrapper entraps Nicaraguan and Honduran fillers that mirror the same well-aged flavor of the wrapper and are perfect compliments to each other. A complex cigar - with hints of spice, espresso, and cedar – will surely provide the flavors your palate has been demanding. 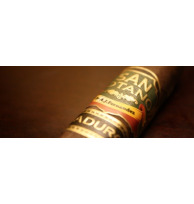 This cigar will pique your interest with its unique shape but will keep you coming back because of its refined taste.